Recently we brought you a guide on how to root your Kindle Fire What You Should Know About Rooting Your Kindle Fire & Getting Access To Google Play What You Should Know About Rooting Your Kindle Fire & Getting Access To Google Play Like any Android-based tablet, the Amazon Kindle Fire can be rooted. This in turn offers several advantages to the user, such as an increase in functionality via previously restricted apps. Unfortunately, the process of rooting... Read More , a process that makes it possible to add apps and games from Google Play as well as afford greater user access to various files and folders on the device (something that enables certain useful apps to work correctly). However you might have since run into some problems. Amazon is very keen for the Kindle Fire to not be rooted – after all, this breaks the walled garden that they have set up for installing apps, etc. – and regularly push out updates that are intended to prevent or undo rooting. Meanwhile, problems accessing your Kindle books can also occur after rooting. Fortunately, all of these issues can be resolved, relatively quickly. Wait – I Can Root My Kindle Fire? Yes! While the Kindle Fire might be the closest tablet to the Apple iPad in terms of manufacturer control over the OS and restrictions installing apps and games, it can be rooted, allowing you to replace the home screen with something more akin to the traditional Android look. With the Kindle Fire rooted you can then gain access to the Android Market (now known as Google Play) where apps and games can be downloaded and enjoyed and you can use the device as a standard 7 inch tablet rather than an overblown e-reader with Internet and email capabilities. Of course, in order to root the device you will need to jump through a few hoops, but all in all the process is reasonably simple, and explained in detail here on MakeUseOf. What Happened to GO Launcher Ex? One of the common issues that occurs after rooting your Kindle Fire is that the Android-style launcher (the “desktop” of the platform) GO Launcher Ex is apparently removed, mysteriously and without a trace, leaving your device apparently without any access to Google Play. There are two reasons why this might have happened. The first is that an Amazon update may have been applied to your Kindle Fire, effectively undoing the root. Alternatively, an application has gained administrator privileges on your device, preventing Go Launcher Ex from running. Unless this process is reversed, it will not be possible to use the device as you did while it was rooted. Fortunately it is pretty simple to undo the update. Open Settings > Security > Device Administrators and remove any apps that are listed in this section. Restart your Kindle Fire and the problem should be resolved! Help, I Lost All My Books! Another problem that tends to affect a lot of Kindle Fire users after they have rooted their device is that books appear to vanish. The usual way of using a Kindle Fire after rooting is to use GO Launcher Ex for all of those typical Android tablet tasks and then switch back to the native launcher to access the Kindle bookshelf and store. However what usually happens is that the bookshelf becomes completely empty, without a book in sight. Even when connecting to Kindle to purchase a new one, the downloaded title doesn’t appear. Resolving this issue is quite straightforward, however. What happens is that when you root your Kindle Fire and add GO Launcher Ex, the Play Store is pre-configured to install a copy of the Android Kindle app, just in case you decide to set GO Launcher Ex as the default launcher for your tablet. As such, this app takes precedence, taking reading permissions for all of your books. To fix this, open GO Launcher Ex and browse to Settings > Applications and tap the Amazon Kindle app. Here, select Force Stop. The next step is to open the Play Store, tap the menu button at the bottom and select My Apps. From here select the menu again, and then Settings and clear the check box against Auto-update apps. This will prevent your apps from being updated automatically, leaving the native Kindle reading software in control of your books! 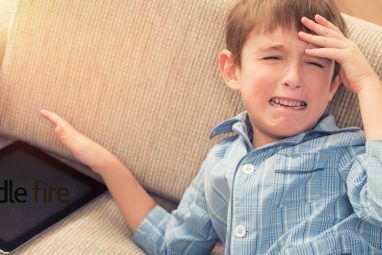 If you’ve rooted your Kindle Fire, these problems might well be ones that you have experienced. Fortunately each can be resolved in a matter of minutes, enabling you to return your device to full, rooted working order. While the “unrooting” problem is one that can be lived with if you don’t have time to fix it or didn’t really gain any advantage from rooting your device, apparently losing the Kindle bookshelf can be very disappointing. Fortunately the data is still on your tablet – it’s all case of putting it back where it should be! Now, there is a chance that you might have had some other post rooting problems on your Kindle Fire. Let us know what they are in the comments. Explore more about: Amazon Kindle, Amazon Kindle Fire, Android Rooting, Ebooks, eReader. I just installed Go Launcher HD and love it, but I would also like to be able to save websites as icons to my home page - for example, my daily newspaper site, my online calendar. Is there a way to do this the way you can on a PC or iPhone? Thanks so much. I researched this online and understood that it had something to do with the google play version. I saw a lot of advise on stopping that service and uninstalling the updates but the part about goign into the play market and disabling the autoupdates was missing. That was the key to the solution. I now have a rooted Kindle that can swap between kindle ui and the the go launcher for full android without loss of function.. Thanks! How did you root your kindle fire? I have tried most of the instructions and watch the videos and gone step by step and it does not work for me. What am I doing wrong? Please excuse me if this is a dumb question, I'm close to being technologically challenged. I bought a used Kindle fire that has been rooted and I can't get it to connect to my home internet, via wifi. The Kindle finds the connection, but then immediately disables. Can you help? 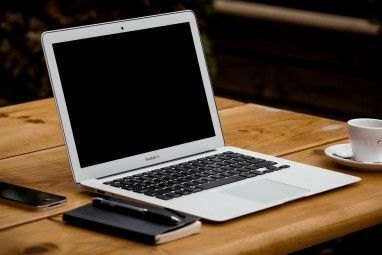 The first thing to check is that your Kindle will connect to the type of wireless network authentication you have setup. You can check this in your device manual, and by checking your router. Hi, my kindle is not booting up past the orange kindle fire logo. Please help. in the recovery sceen it is also suggesting that there is no OS (I assume this means Operating System). What should I do? What had you done before this? What happened to cause this? Not sure. It was working fine whilst rooted. A strange icon came up with a triangle. I restored to factory settings. Then i rerooted. Then problems. The recovery screen does nothing for me. The backup is not loading. The PC is not picking up the tablet in that it is not showing up in the explorer window. 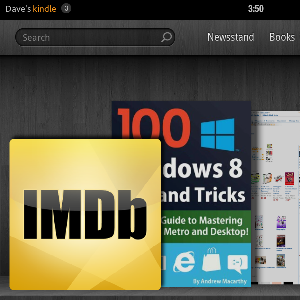 it is showing up as online on the kindle fire utility window however. I am just not getting past the orange icon. I even tried the manual bootloader and nothing. "The usual way of using a Kindle Fire after rooting is to use GO Launcher Ex for all of those typical Android tablet tasks and then switch back to the native launcher to access the Kindle bookshelf and store." So is there any way to access your books from GO Launcher apart from switching back to the native launcher? I'm using GO launcher as my desktop at the moment with an icon on my home screen for the native launcher, but if I want to look at my book I have to click that, then click my book, as opposed to the kindle fire app on my iphone which automatically opens with the last book I was reading. Is there any way to load your books into the android kindle app? Im having trouble downloading books to my Kindle Fire. It Will let me download them but when Im reading them I notice that they're ending to early & they arent full books. Why is this & how can I fix it? Whenever I try to download certain apps it says "device not compatible with version" how do I fox this if there is a way?? Sadly there isn't a way to fix this - owners of older Android devices and tablets such as the Kindle Fire or HP TouchPad will see these messages, usually (but not limited to) if the app requires a device with a dual core processor. What if the books always have to be downloaded through the kindle Apk? I went and I opened GO Launcher Ex and browsed to Settings > Applications and tapped the Amazon Kindle app, selected Force Stop.Then opened the Play Store, tapped the menu button at the bottom and selected My Apps. From there the menu again, and then Settings and clear the check box against Auto-update apps. ok so far! the problem still exists! the kindle fire apk is v3.6.0.87 (not the original one) and I cannot see the books from the kindle's reader(They allways open through the kindle fire apk and always re-download from the web). I encountered the exact same problem. I tried the method suggested by you. Still I could not access my downloaded books. Then taking hint from you and realising that the new version of Kindle App was the culprit, I went to the Play Store and uninstalled the app. After uninstalling the app, the Play Store page showed two buttons - one for "Open" and the other for "Update". Decided to ignore these, I went back went back to the Kindle default launcher and selected the book I wanted to read from the carousel. I was able to open it this time. I tried going back to the Go Launcher and found that Kindle App was able to access my books. Sorry, Glenn here had already found the solution. Silly me. If you have a copy of the Kindle Fire app installed on your device from the Google App Store, uninstall it. I followed all of Christian's steps but couldn't fix my sync problem since rooting. I opened "Google Play", choose "My Apps" and uninstalled "Kindle Fire". Once the App store version was removed, everything starting working immediately. Did this and books appeared immediately !!!! Good man !!! is the kindle fire worth it for the money, or is the nexus 7 better? Since rooting, I can't get Gameloft apps to open at all. I get an error, and they force close. These are two games that are "Kindle Fire" editions, which I installed before rooting. It makes no difference whether I try to open them from GoLauncher or the Kindle launcher. So far, I haven't been able to find any information on the problem, or any other reports of this happening. All non-Gameloft apps work fine. This is one of those unfortunate by-products of rooting the Kindle. However unrooting the device should resolve the issue, or simply waiting for an Amazon update to auto-unroot on your behalf. After I rooted my kindle, it worked great. Now it looks like it's trying to do an OTA update and failing. The Android with the triangle and exclamation point pop up. Is there an eat fix for that or should i just factory rest it and root again? Rooting again is the best option; there are tools that can be used to prevent future updates, something we'll be looking at in a new article soon.